To download a copy of the FLC Accreditation Process, click here. 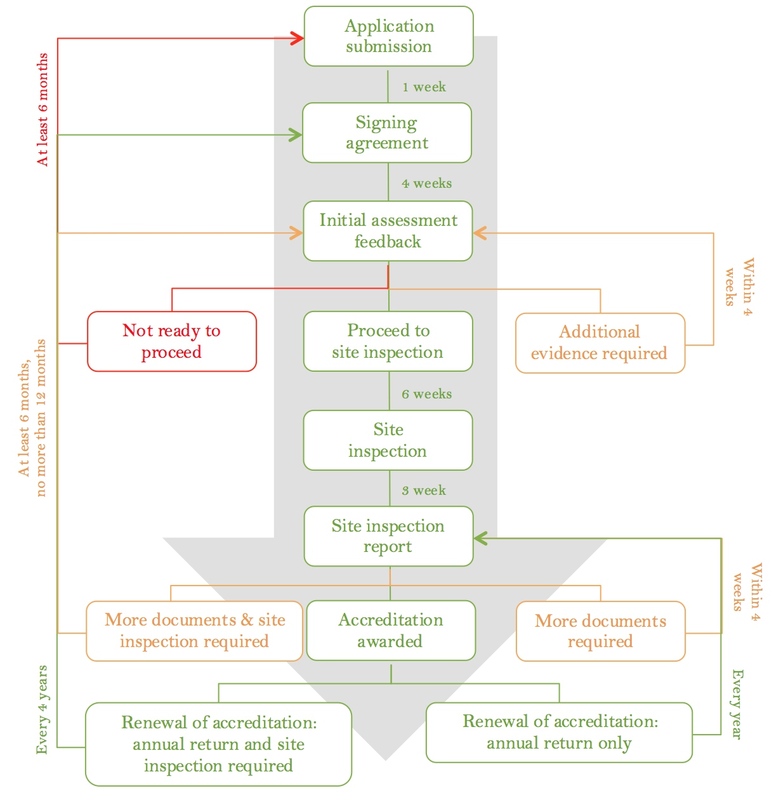 Below is an overview of the FLC Accreditation process, including a general indication of the time that it takes to move from one stage of the process to the next. Please note that this timeline is only an estimate and the process might be quicker or slower depending on the specific requirements of your institution.